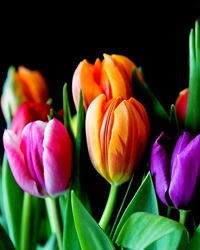 Malinda Lize Hilda Thies, 87, of Iowa Falls, Iowa passed away Sunday, March 17, 2019 at the Heritage Care Center of Iowa Falls. 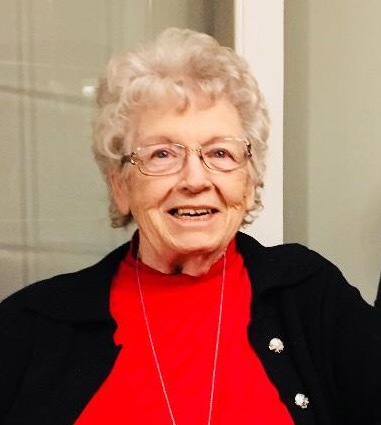 Funeral services for Malinda Thies will be 11:00 am Saturday, March 23, 2019 at the St. Peter’s United Church of Christ [UCC]; 496 Raven; Geneva, Iowa 50633. Visitation will be from 10:00 am until 11:00 am Saturday, March 23, 2019 also at the St. Peter’s UCC Church of Geneva. Malinda and Franklin will be buried together at a later date in the Pleasant Hill Grant Township Cemetery in Franklin County. The Linn’s Funeral Home is helping the family with arrangements, and further information and online condolences can be found at linnsfuneralhome.com. In lieu of flowers, please send to: Thies Memorial Scholarship; c/o Linn’s Funeral Home; 1521 Washington Ave.; Iowa Falls, Iowa 50126. Memorials received will be used for the Franklin and Malinda Thies Memorial Scholarship for agricultural students. Malinda Lize Hilda Koth was born July 14, 1931 at her parents farm in Galva, Iowa. She was the 7th child of 11 that was born to Friedrich Frank Carl and Louise Pauline Gertrud [Peters] Koth at that farm, delivered by the same doctor. She attended St. John’s Lutheran School in rural Alta until the 8th grade, graduating from the Alta High School on May 27, 1949. On June 18, 1951 she was united in marriage to Delmond Leroy Carlberg, and later divorced. To this union four children were born: Dennis, Michael, Lynelle, and Angela. On December 2, 1978 Malinda was united in marriage to Franklin Thies. During her early life she mostly cooked, and cooked well for different restaurants around town. Malinda was a member of the St. Peter’s United Church of Christ in Geneva, Iowa, belonging to many committees, two of which were the Birthday Club and the Sunshine Circle, along with making many salads for almost every funeral held at the church. She was a hard worker on the farm, helping Franklin with anything that was needed, including the “dirty” work. Malinda Thies is survived by her four children: Dennis [Holly] Carlberg of Iowa Falls, Iowa, Michael Carlberg of Iowa Falls, Lynelle [Nicholas] Kling of Dumont, Iowa, and Angela [Dennis Heath] Norpel of Mesa, Arizona; five step-children: Bret [Beth Jensen] Thies of Indianola, Iowa, Tony [Mari] Thies of Iowa Falls, Ann [Tom] Humphrey of Polk City, Iowa, Bruce [Laura] Thies of Iowa Falls, and Jill [Kenny] Agan of Ankeny, Iowa; a brother: Marlin [Ada] Koth of Gilroy, California; many grandchildren; and multiple great-grandchildren. Malinda Thies was preceded in death by her parents: Friedrich and Louise Koth; her husband: Franklin Thies; her sisters and brothers: Gladys Lillie, Bernice Koth, Arnold Koth, Harlan Koth, Wilbert Koth, LuEtta Prescott, Franklin Koth, Delores Troyer, and Fred Koth Jr.; and a grandchild: Terrill Alan Dannen.